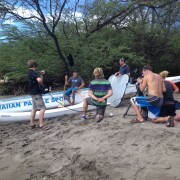 Hawaiian Paddle Sports is proud to be recognized as a ‘Dolphin SMART’ Proud Supporter. As a Proud Supporter, we are committed to promoting responsible viewing and advertising of wild dolphins. Dolphins are some of the most popular and beloved marine animals. 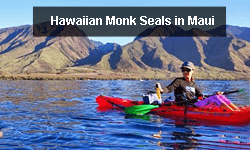 Charismatic and playful, they are always a welcomed addition when paddling along Maui’s coastline. 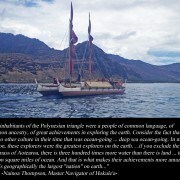 In Hawaii, dolphins are referred to as nai‘a. 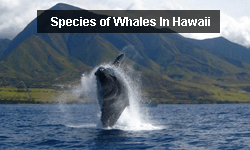 Eighteen dolphin species (also known as odontocetes or “toothed whales”) have been observed in Hawaiian waters. 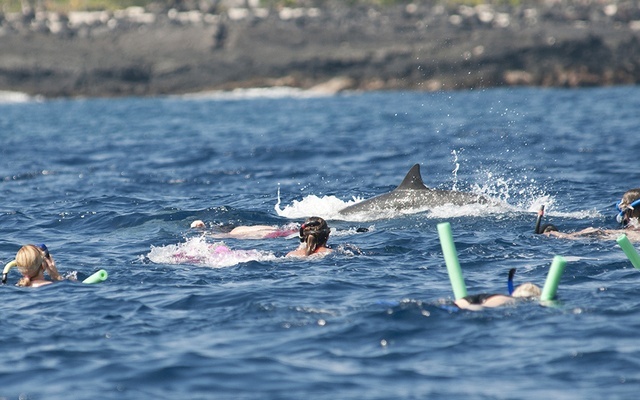 Visitors to Maui are most likely to see Hawaiian spinner dolphins and bottlenose dolphins – two species that primarily inhabit in shallow water. 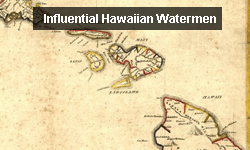 The most commonly encountered dolphin species in Hawaii is the Hawaiian spinner dolphin. 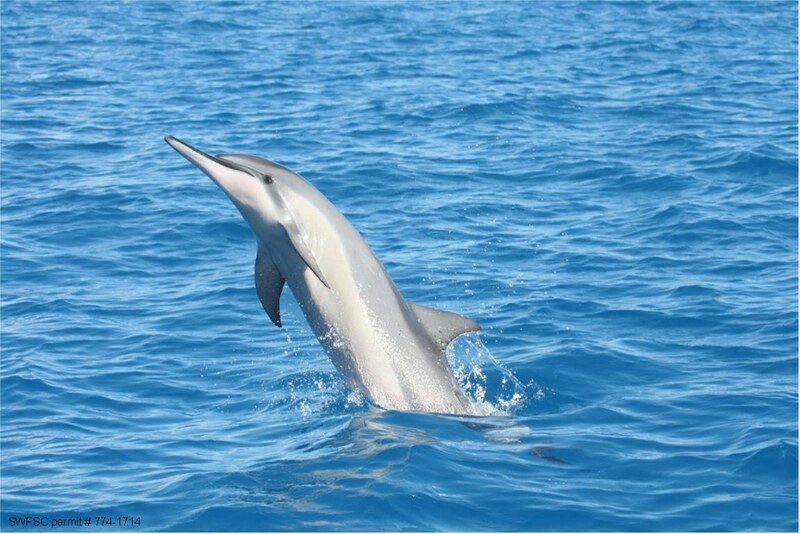 Spinner dolphins are known for – you guessed it – unique, acrobatic “spins”. Though scientists are not certain why spinner dolphins spin, it has been suggested that spinning may be a form of communication or a way to remove parasites. An adult spinner dolphin is about the size of an adult human, ranging in length from 4-7 feet and weighs between 100 – 165 pounds. They have long, slender beaks used to catch lanternfish and squid. Spinner dolphins also employ a natural camouflage technique called “counter-shading” – darker on top and lighter on bottom. 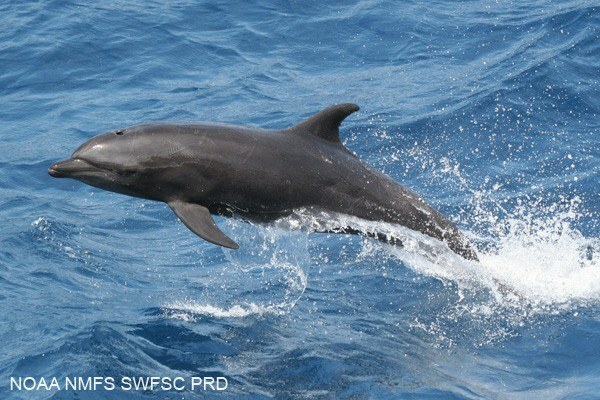 If viewed from above, spinner dolphins blend into the darker environment below. Conversely, if viewed from below they will blend in with the lighter colored, surface water. 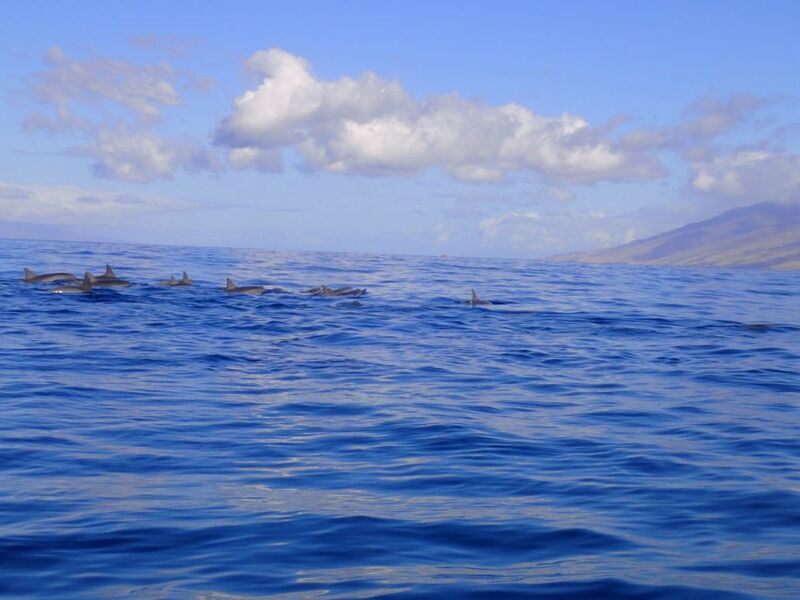 During the day, Hawaiian spinner dolphin rest in shallow bays near the shoreline. This resting period is used to avoid predators, care for young, and rejuvenate for nightly hunting expeditions. As nightfall approaches, spinner dolphins travel to deeper water. Individual groups of dolphins will merge to form large schools of hundreds of animals that hunt shrimp and squid. As the sun rises, spinner dolphins split off into smaller groups and make their way back to shallower water. 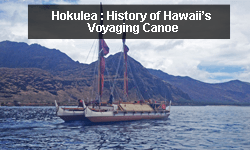 Hawaiian spinner dolphins spend the day resting in shallow bays and move offshore at night to feed. 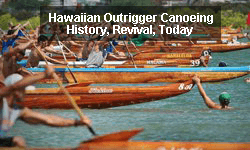 In Hawaii, ocean tourism and coastal development are of particular concern to spinner dolphins. 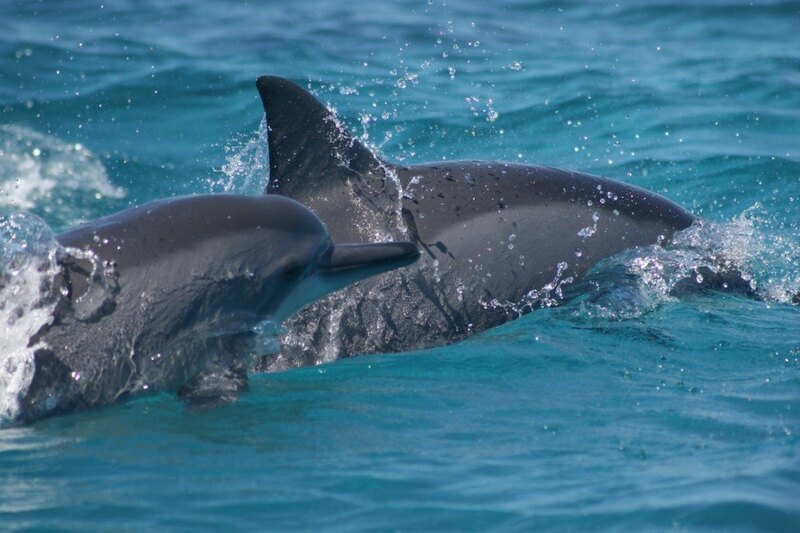 Many of the coastal bays that spinner dolphin use for resting, for example, are also frequented by tour boats, snorkelers, and swimmers. This increased human activity disrupts critical sleep time and the natural behaviors of spinner dolphins. Without proper rest, spinner dolphins’ health and fitness suffer. These dolphins may be less successful hunters and more vulnerable to predators like sharks. There is also concern among scientists and resource managers that chronic disturbance will impact the species’s ability to mate and breed. Keep in mind that resting dolphins will continue to swim slowly and come up to the surface to breath, though they are much less likely to be leaping, spinning, and splashing. Spinning and splashing could, in fact, indicate that dolphins are annoyed or stressed. Ocean-goers are asked to enjoy spinner dolphins from a distance and never approach dolphins closer than 150 feet. Dolphin SMART was first launched in the Florida Keys where increased human activity was negatively impacting local bottlenose dolphins. 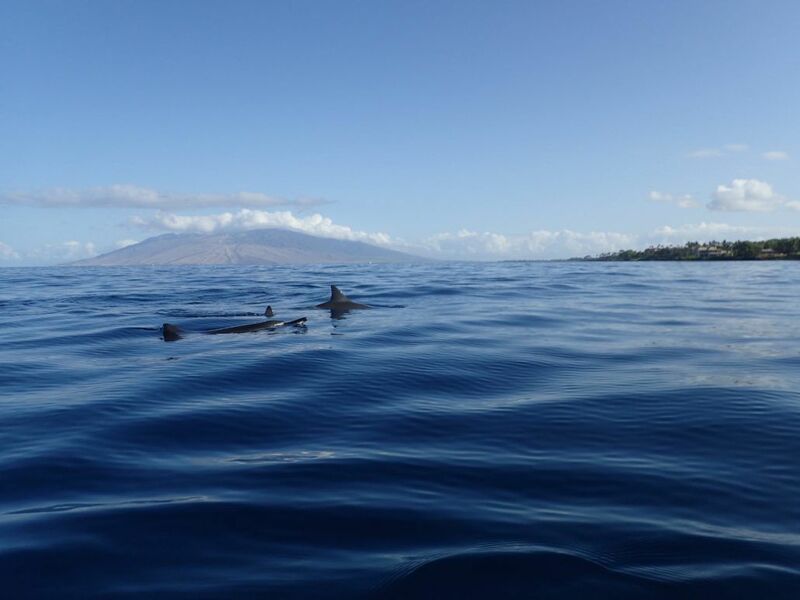 To minimize stress to wild dolphins, while continuing to support commercial tour operators, a multifaceted program was created that encourages responsible wild dolphin viewing. Dolphin SMART is now a nationally recognized dolphin stewardship program. The program certifies “Dolphin SMART” tour operators and businesses that adhere to voluntary guidelines when operating near wild dolphins. 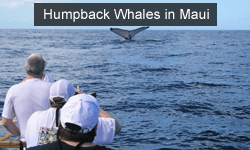 These guidelines are designed specifically to minimize the potential impacts of commercial dolphin watching tours. Guidelines suggest approaching wild dolphins no closer than 150 feet and discourages feeding, petting, touching or swimming with wild dolphins. 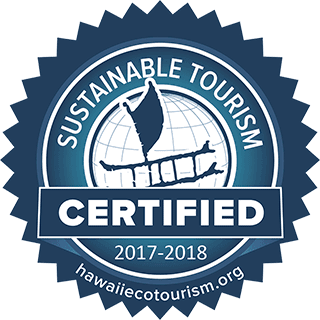 Maui tour operators and businesses increasingly recognize the importance of responsible wild dolphin viewing. 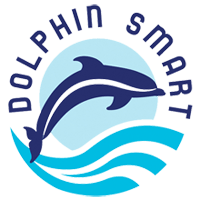 When booking your ocean tour, be sure to look for the Dolphin SMART logo – a clear indication that the operator is a Dolphin SMART Certified Operator or Proud Supporter. 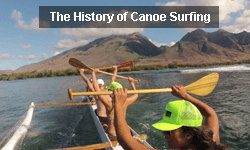 As a Dolphin SMART Proud Supporter, Hawaiian Paddle Sports adheres to the Dolphin SMART guidelines and the federal Marine Mammal Protection Act. 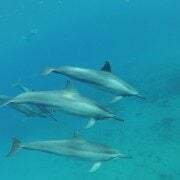 Though Hawaiian spinner dolphins are the most frequently encountered dolphin species in Hawaii, they are not the only dolphins that inhabit our coastlines. 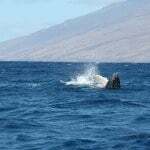 Bottlenose dolphins can also be spotted traveling between the 4-island area of Maui, Lana‘i, Moloka‘i, and Kaho‘olawe. Bottlenose are typically much larger and more robust than spinner dolphins, reaching over 12 feet in length. Their beaks are also thicker and more blunt. In contrast to the large spinner dolphins that can number in the hundreds, bottlenose dolphins tend to travel in smaller groups of less than 10 individuals. And unlike spinner dolphins, bottlenose dolphins are more uniformly gray. 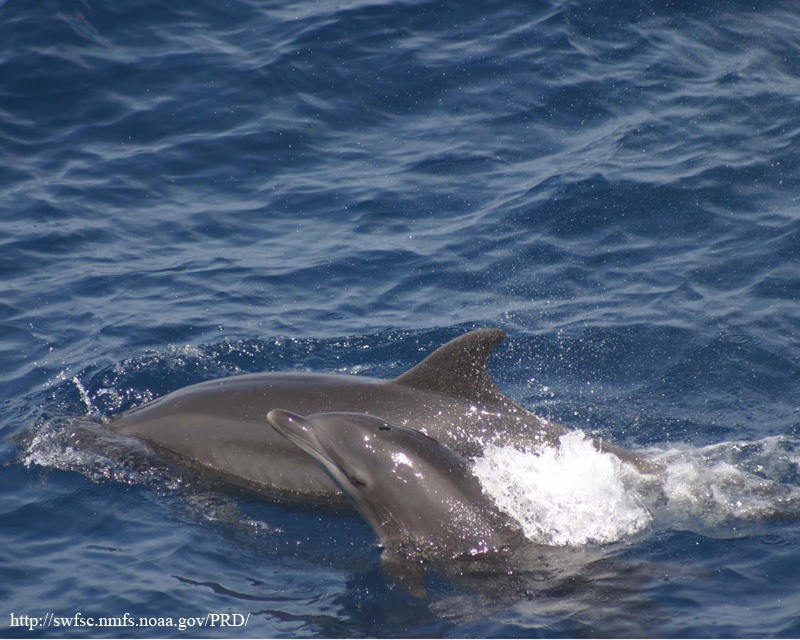 Hawaii’s bottlenose dolphins are split into 2 distinct populations: insular (coastal) and pelagic (open ocean). Scientific evidence indicates that these 2 populations rarely (if ever) interact, and would likely not mate if they did cross paths. Ocean-goers are most likely to encounter the coastal bottlenose population. These dolphins stick to shallower waters, though rarely come as close to shore as spinner dolphins. Dolphins are an important part of the ocean ecosystem. 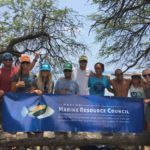 Whether you’re a resident or visitor, we can all take steps to protect Hawaii’s dolphin species. 1. Look for the Dolphin SMART logo. Book your ocean adventure with operators or businesses who are Certified Dolphin SMART. These companies take steps to minimize their impact on wild dolphins. 2. Never swim with, pet, or feed wild dolphins. Though it may be tempting, it is illegal to harass wild dolphins – and that includes swimming with dolphins. Always enjoy Hawaii’s dolphins from a respectable distance (>150 feet). be washed out to the ocean and become marine debris. Dolphins (and other marine animals) may mistake trash and plastics for food. Make sure only leave footprints behind. 4. Educate your friends and family about responsible dolphin viewing. Help spread the Dolphin SMART message. Encourage your friends and family (especially in coastal areas) to support businesses that are committed to responsible dolphin viewing. 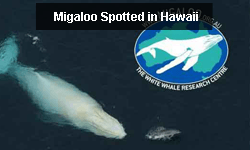 All photos and videos on this website were taken while viewing animals from a responsible distance. 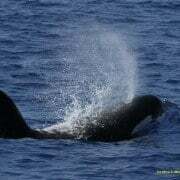 Images depicting dolphins or whales in close proximity to people were taken when the animals approached the vessel, and no attempt was made to approach or otherwise disrupt these animals. All underwater photos and videos of dolphins and whales were taken with a remote device while following guidelines for responsible viewing.